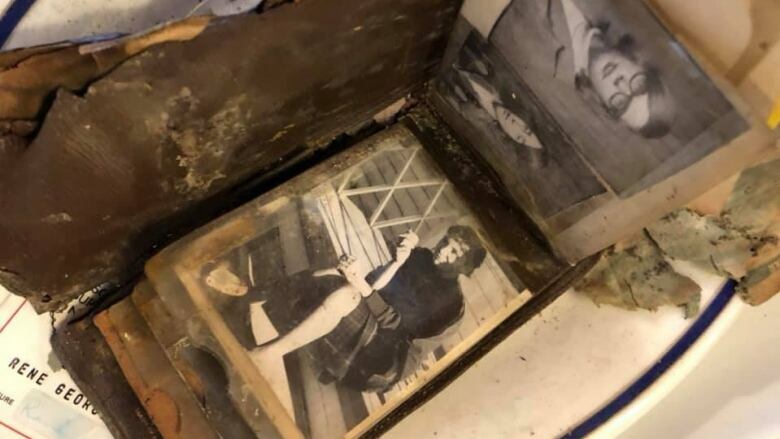 A wallet was found last Tuesday in a Quebec City restaurant during renovations, over 50 years after it was lost. On Saturday the owner's sister-in-law came to see it. 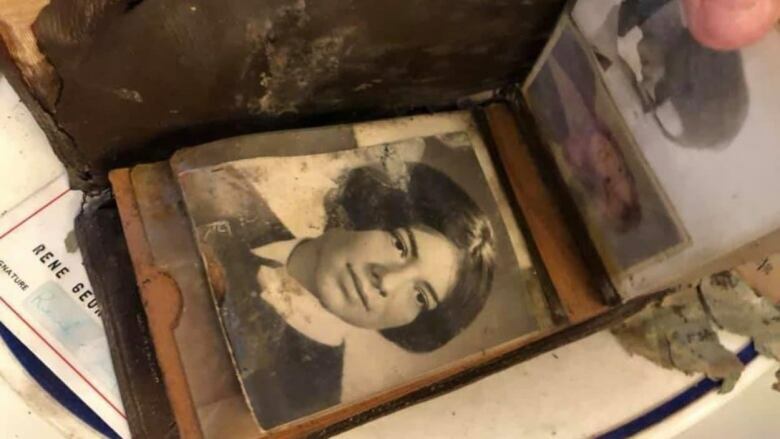 After a few days and thousands of shares on social media, a wallet lost over 50 years ago ended up with its owner's relatives. The wallet was found last Tuesday in a Quebec City restaurant during renovations. It belonged to René Grégoire who died long ago at 27 years old. On Saturday, Grégoire's sister-in-law, Constance Grégoire, met the co-owner of Le Continental restaurant and studied the wallet's contents. "God, I recognize his signature," she said. "It touches me, especially when I think how his family will react." René Grégoire died of an illness at 27. At the time, he was a cartographer for a provincial outfit that has become Quebec's Department of Forests, Wildlife and Parks. Recent renovations at the restaurant uncovered Grégoire's wallet where it had been sealed within a wall for decades. It was likely left there during construction work in 1967. Grégoire may have been working on that project in some capacity. The wallet, mostly intact, contained an old driver's licence, a handful of black and white snapshots and $22 cash — the equivalent of about $180 today. The bills include $2 Canadian bank notes, which were discontinued more than two decades ago. 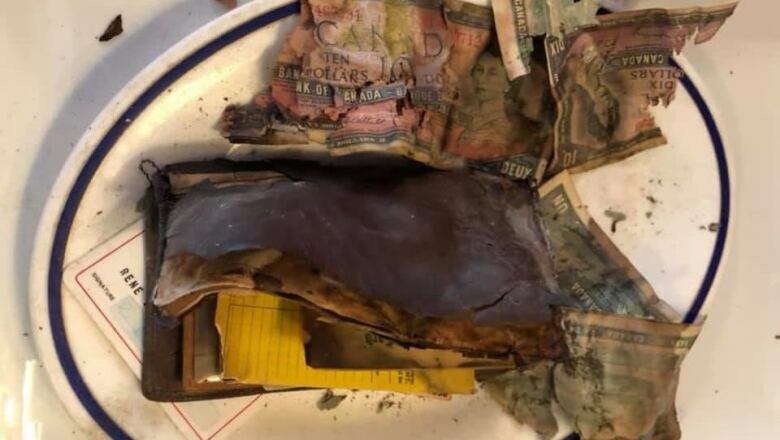 Images of the wallet went viral on social media this week after Carolan Guay, who had been working on renovations at the restaurant, posted photos of the find to Facebook. Over 16,000 people shared the post, and within a few days an amateur genealogist had found a baptism certificate that closely matched identification found in the wallet. "I knew him a bit for a few years, and everyone always said he was a good guy," Constance Grégoire said. "As you can see, he had a lot of success." A number of the photos inside the wallet are of different women. The wallet will be kept on display for a few weeks at the restaurant and then be given to the family. "I'm going to give it to his sister and his brother," Constance Grégoire said. "They should have this keepsake."